The Centers for Medicare & Medicaid Services (CMS) recently released its latest forecasts for national health expenditures. 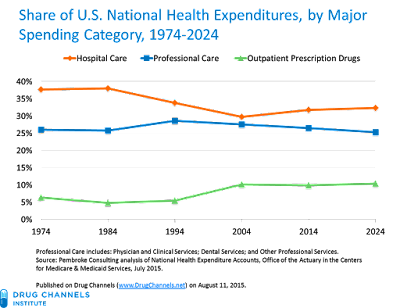 They are summarized in a new Health Affairs article: National Health Expenditure Projections, 2014–24: Spending Growth Faster Than Recent Trends (Available to Health Affairs subscribers or for purchase). I crunch the underlying prescription drug data below. In 2014, prescription drug spending growth was higher than the growth in total U.S. healthcare spending. Over the next 10 years, however, drug spending is projected to closely track overall healthcare spending. By 2024, the U.S. will spend about $560 billion annually on outpatient prescription drugs. Despite this growth and the perceptions that drugs prices are “too high,” outpatient prescription drugs will only account for about one of every 10 U.S. healthcare dollars. Hospitals and physicians will still account for nearly 60% of U.S. healthcare spending—or about six times as much as spending on pharmaceuticals. Being part the CMS forecasting team is not easy. If any members of the Office of the Actuary are caught with bad projections, the Secretary of Health and Human Services will disavow all knowledge of their actions. Every year, CMS team’s mission, should they choose to accept it, is to publish annual projections for U.S. National Health Expenditures (NHE). 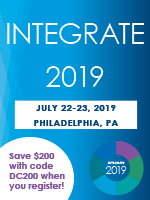 As part of their work, the actuaries inside CMS’s Impossible Missions Force (IMF) also examine spending on prescription drugs sold through outpatient retail, mail, and specialty pharmacies. 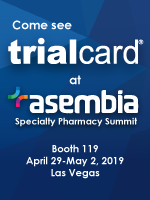 Expenditure (spending) data differ from pharmacy revenues, manufacturer sales, and provider purchases. NHE totals are net of manufacturer rebates. The reported figures are lower than pharmacies’ prescription revenues, but the growth rates are typically comparable. The data also do not measure total U.S. spending on prescription drugs, because these numbers exclude an indeterminate amount of inpatient spending on pharmaceuticals. Historical and projected data files are available on the nonclassified CMS National Health Expenditure page. 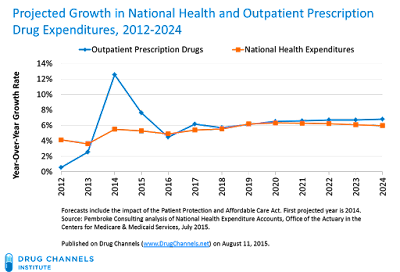 The chart below presents our analysis of the July 2015 forecasts for annual growth in total national healthcare expenditures and outpatient prescription drugs. As predicted, prescription drug spending growth accelerated in 2014. Last year’s forecast predicted an uptick in drug spending growth. Due to higher-than-expected spending on hepatitis C and other specialty drugs, the 2014 growth rate of 12.6% significantly exceeded CMS’s previous projections. These earlier, inaccurate projections have been traced to a master of disguise who infiltrated the Office. 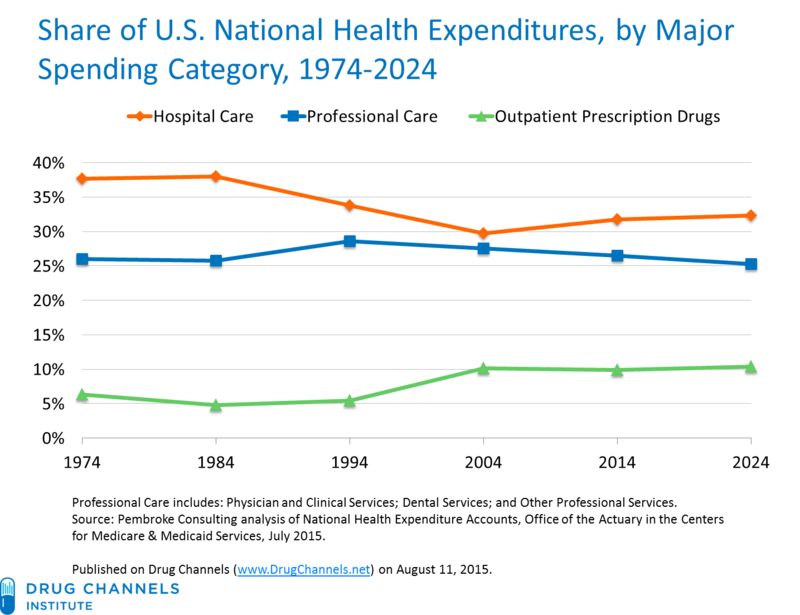 After 2015, drug spending growth will be comparable with the overall growth in national health expenditures. CMS projects that outpatient prescription drug spending will grow at a compound average rate of 6.4% from 2016 to 2024. The End of the Generic Wave—Since the generic dispensing rate is already so high, there will be fewer new generic launches to reduce spending. Thus, future spending growth will be higher, because so many drugs already have generic equivalents. Growth in Prescription Utilization—CMS projects faster growth in the number of prescriptions dispensed, due to stronger economic growth and changes in benefit management that increase adherence. The aging of the U.S. population will also boost prescription utilization. 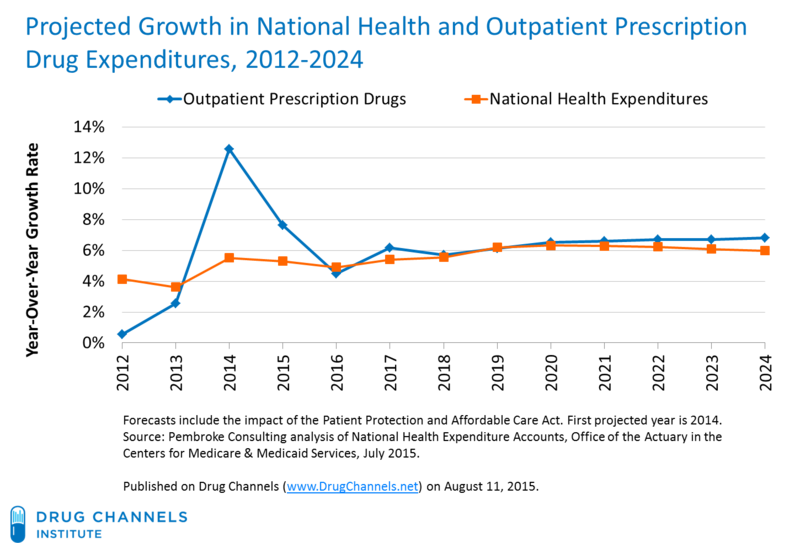 Note that the CMS projections are a top-down look at drug spending. In Pharma’s Bright Future: Meet The Top 10 Drugs of 2020, I examined the EvaluatePharma projections, which rely on a bottoms-up, product-based approach. Drug spending is projected to remain a small part of overall U.S. healthcare expenditures. Outpatient spending on prescription drugs accounted for 9.9% of total U.S. spending in 2014. CMS projects that it will account for only 10.4% of 2024 spending. Over the next 10 years, more than half of U.S. expenditures will come from the two largest categories: hospital care and professional services (physicians, dentists, and other professionals). In 2014, these categories accounted for 58.2% of U.S. healthcare spending. In 2024, CMS projects they will remain an essentially unchanged share, at 57.7%. See the chart below, which traces these trends over a 50-year period. The health spending slowdown is over. Some people have tried to attribute the 2009-2013 healthcare spending slowdown to the Affordable Care Act (ACA). (Here’s an example of unwarranted triumphalism from the Obama Administration.) Every year, CMS calmly but decisively refutes this argument. This year, CMS reiterated that (1) the ACA increased health spending, because people gained insurance coverage and consumed healthcare products and services, and (2) health spending growth remains linked to overall economic growth. Revisit my favorite chart of 2013 in A Very Cool Look at Healthcare Spending and the Economy. In a future post, I’ll hang by a cable to examine who will be paying for our prescription drugs over the next 10 years. 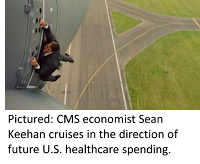 This blog post will self-destruct in five seconds. What’s Behind Walmart’s Pharmacy Profit Warning? OMG! AMP Final Rule is at OMB! Here Come the 2016 PBM Formulary Exclusion Lists!